Clover had the priviledge of being a sponsor at the HFM Operational Leaders’ summit last month (25th / 26th Sept). The two-day conference held at the very plush Grove hotel in Hertfordshire welcomed COOs and CEOs from a wide range of financial services (FS) firms across Europe. The conference agenda was mainly focused on pressing operational challenges (as you’d expect) such as MIFID II, staff retention, retaining profitability in increasingly low margin model and current / future compliance (GDPR/NISD) complexities. However, what was surprising from the outset there were many items that crossed into our own Cloud computing and broader technical expertise such as cost reduction (IT outsourcing),phone recording, trade time-stamping, DR, DevOps build and test, remote working and cybersecurity. The keynote opening speaker was a senior COO and he referred to the preferred quant programming language “Python”! As our company was one of only a handful of tech companies that attended the conference, Clover’s Founder and Managing Director, Ray Bricknell was asked to moderate four roundtable sessions discussing the current state of ‘Cloud’ in the FS sector and the impact of GDPR on technology practices. Such roundtables are always a great format for us to gain perspective from clients on their perception of our market, and also to debate areas which are not so ‘back and white’. They also give us a great viewpoint from senior leaders in FS firms who see problems from a non-technology perspective. To align everyone’s understanding of the upcoming regulatory change, Ray’s roundtable started with an overview of GDPR using slides that we presented at our GDPR focused ‘InTheClouds@TheShard’ event in June. GDPR is one of those items at the moment generating LOTS of noise – and it has been recently referred to as the modem day equivalent of the “Y2K money making machine”. There are serious inconsistencies in the industry’s understanding of what they need to focus on to become compliant before “Zero Day” (28th May 2018), and how much technology can REALLY help solve what is largely a data handling process and procedures issue. Sure – things like encryption can help mitigate the NISD risk IF you lose data – but the legislation is primarily focussed on making sure you don’t keep or use an individuals data for purposes that you aren’t explicitly authorised to. The second part of the round table was to talk through cloud perception in the FS industry, where the market was going and what Vendors are disrupting by improving functional value this sector. Prior to the event, we distributed an on-line survey to the attendees asking for details on their current IT set up, their IT strategy and their perception of Cloud. We used the sessions to discuss some the interim results. Clover will publish the full results in future blog in mid-October. My main ‘takeaway’ from the sessions was that as a general rule, these COOs really understood technology terminology and strategies. They could freely converse in the difference between private and public cloud, what cloud options were available AND didn’t once need us to clarify an acronym… and we IT guys love an acronym! The bigger part of this observation made me question whether the CTO role would eventually merge with the COO role for mid-tier FS firms in the future. Certainly the CTO guys in the larger firms increasingly see themselves eventually becoming the CVO ‘Chief Vendor Officer’. When visiting our client offices, I either see a very cool MIFID II countdown clock stuck onto someones screen or a whiteboard with ‘DAYS TO GO’ until MIFID II as a reminder to staff. However, I have only seen a GDPR countdown in one office. At the time of the conference, MIFID II was exactly 100 days away and GDPR was approximately 8-months away. It was apparent at the event that GDPR would get the required focus after the MIFID II ‘headache’ was put to bed. A reminder of the potential fines though did raise some eyebrows (i.e. 20m Euro or 4% of global revenue – whichever is greater). A very good question we were asked but couldn’t give an answer to was: “If a client asks me delete their personal information, how can I do so when the regulators request I maintain similar data for seven years? “. One of the big misconceptions of GDPR is that most people believe technology will magically make a firm compliant. In fact, in our view technology has a less than 15% role to play in becoming complaint. GDPR compliancy is heavily about internal processes and data cleanup. 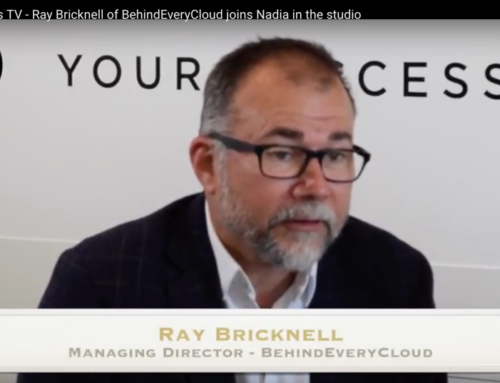 Yet again, these roundtables gave us another bellwether from the industry that cloud (and especially Public Cloud) is no longer the dirty word that it was less than two years ago. There has been a massive polar opposites shift in the sector – which is now finally starting to embrace the benefits that Cloud can bring to their organisations. Our interim survey results also fully support this view as well – we are now only seeing a very small fraction all people who expect to be running their IT fully in-house the same way in 3 years. Complete disruption of the IT supply chain – here we come. The conference was excellent and well run by HFM. Our next HFM event will be the Technology Leaders’ summit in February next year which we are already looking forward to.